I first went to Bhutan in 2008. AND I first led a tour when I went to Bhutan in 2008. It seems crazy now, diving into a destination and (what I didn’t know at the time) diving into a what would become a new business all because of that trip. But that tour hooked me on the country and on running tours to that amazing destination. Fortunately for me, I’m not the only one interested in Bhutan. Since that 2008 trip, it has been one of our more popular destinations for women-only tours. I say fortunately because that means I get to travel there pretty frequently (I’ve now been 10 times since 2008). Bhutan just oozes a spiritual vibe. The Bhutanese are steeped in Buddhism and their belief system influences every decision they make. They are a kind, friendly and genuine people. The countryside? Wow. I often compare it to my part of the world, likening it to the Pacific Northwest on steroids. It’s green. So green. And the air so pure. We usually offer 12-day tours in the spring and/or fall to coincide with the country’s most popular festivals (called teschus). These are fantastical events held at a district’s dzong (monastery). There’s singing, dancing and religious ceremonies. The locals come from miles around to celebrate Buddhism. They wear their best traditional clothing and gather with their family and friends in celebration. Our spring, 2016 tour coincides with the Paro Festival – one of the biggest teschus in the country (the King usually attends this event – I’ve met him twice!). For our 2016 tour, I wanted to add a bit of a twist (so to speak) to our usual itinerary. So…we are offering a Women-only Yoga Tour! While it’s true that few Bhutanese practice yoga, it’s certainly something that those of us in the West regularly do to deepen our own spirituality, to relax and to find some peace of mind. Bhutan, with its policy of Gross National Happiness, is often thought of as one of the happiest places on the planet. While I’ll admit this might not be completely true, it is certainly true that Bhutan is one of the most spiritual places I’ve ever traveled to. So, why not combine that GNH with a little downward dog!? Susan Weis-Bolen will be leading this tour. Susan began traveling in her teens and lived overseas for almost a decade. She has visited a wide variety of countries including Bhutan, Bolivia, Cuba, Costa Rica, Cyprus, Egypt, England, France, Greece, Iceland, India, Israel, Jordan and Peru. 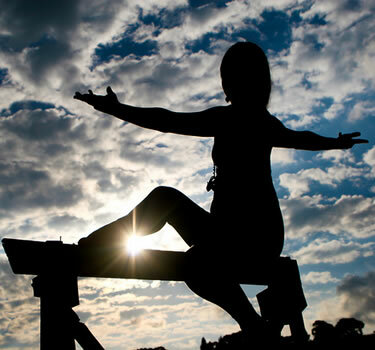 Susan has been practicing yoga since 1995 and has studied Hatha in the Iyengar style and was trained through the Chopra Center for Well-Being in the Seven Spiritual Laws of Yoga. 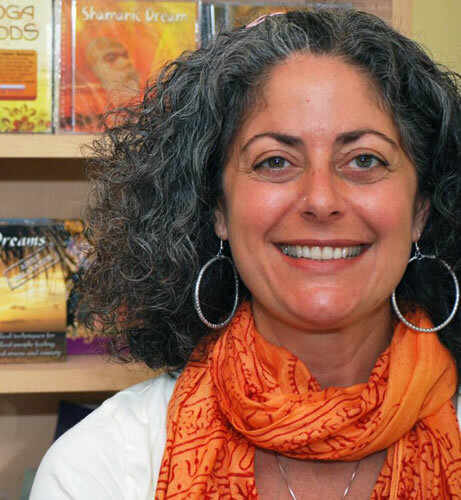 She is a Chopra Center certified teacher of Ayurveda, the 5,000-year-old Indian system of health and nutrition. Susan lives in Reisterstown, Maryland with her husband, Larry, and their two dogs, Ella and Shadow. She runs a vegetarian cooking school, Susan’s Kitchen, is an Ayurvedic health consultant and also teaches meditation. 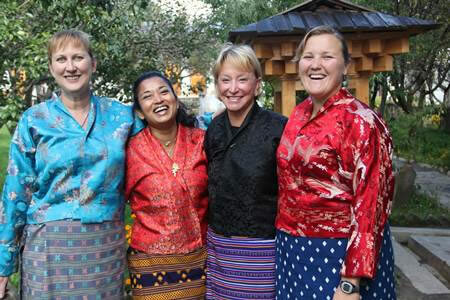 You can register using the Register Now button on the Bhutan Yoga Tour for Women itinerary page. We expect this tour to sell out so don’t delay in registering if you’re interested in joining us on this adventure! We hope to see you in Bhutan!